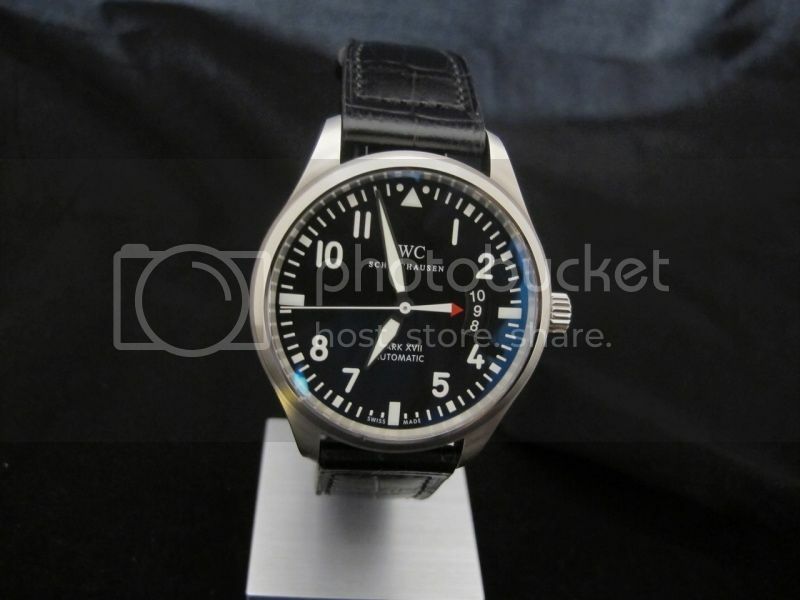 The IWC Pilot's Watch series, which was established in 1936, has the longest history in IWC history. IWC Mark is the most famous series in the Pilot's Watch, and it has launched 7 types so far since Mark IX was launched in 1936. The IWC Mark series could be subdivided into more than 10 types if it was classified in detail. The Mark IX was the first watch of the IWC Mark series, which was equiped a manual winding movement - Cal.83, had automatic shock absorption function, the inner rotating bezel had a luminous arrow, which could help the pilots count the flight time. The black dial featured luminous hands and indexes that apparently showed the feature of a navigation instrument, this cabin-type style became the classic design of later IWC Pilot's Watch. The IWC Mark IX was specially designed for the British air army and its production was stopped in 1944. IWC Mark X was produced in 1944, whose design was obviously more gentle than the IWC Mark IX, has the same manual winding movement - Cal.83, and was also designed and maken for armies, and it was stopped in production in 1948. An absolutely popular watch Mark XI was the third model of IWC Mark series, it was launched in 1948 and was equipped Cal.89, and it was the first watch to be installed with an anti-magnetic soft iron inner case. The IWC Mark XI had a super-long production time that lasted for 36 years and was stopped producing in 1948, became the hottest model in IWC Mark series. 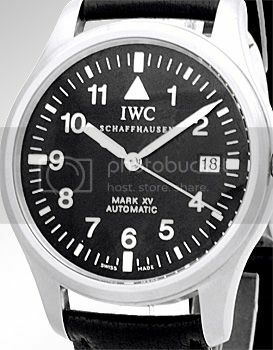 The fourth type of Mark series Mark XII was launched in 1993, the watch was equiped with the first automatic winding movement Cal.884 (JLC Cal.889/2) of IWC Mark series. The IWC Mark XII was added a date window and an enlarged crown on the basis of the IWC Mark XI, it established the modern style for the later Mark watches. 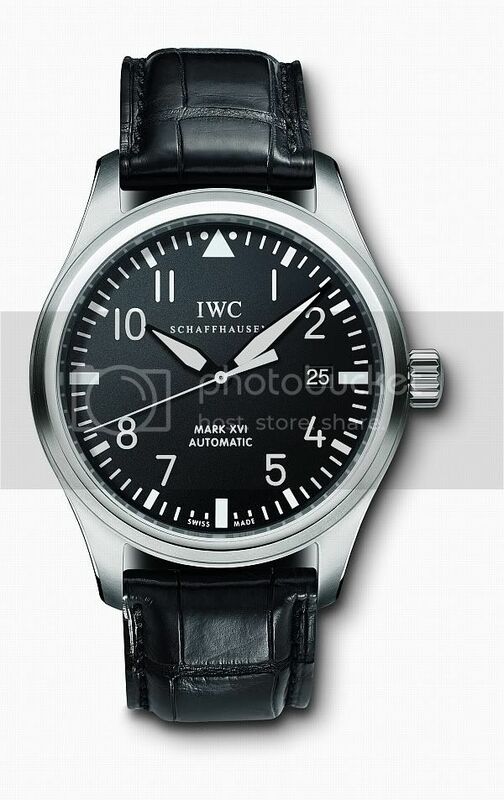 Five years later, the fifth type of IWC Mark series Mark XV was launched. 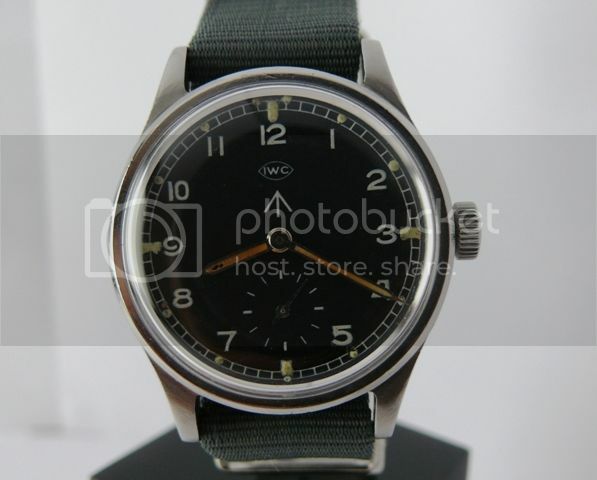 It was very similar to the Mark XII, but the diameter was increased from 36mm to 38mm, and it used Cal.30110 that was modified from ETA 2892-A2, and became another popular watch. The year 2006 was very special to the Pilot's Watch. IWC Mark launched 5 Pilot's watches, including the brand-new Mark XVI. 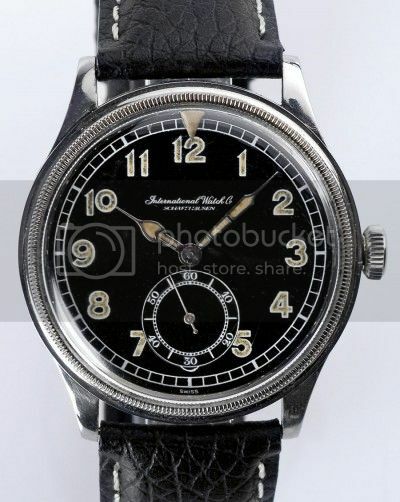 It not only had the big 39mm case, but also the flat-top hands were modified to arrow hands, besides, the indexes on the dial had a more modern arragement. 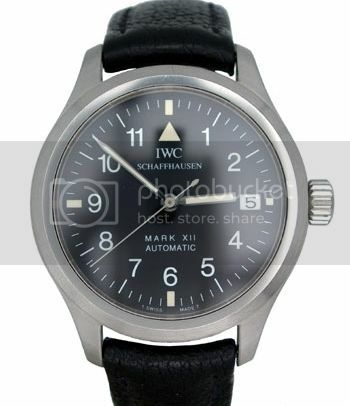 The Mark XVI became a hot model of the IWC Pilot's Watch as well. The next year, IWC Mark series launched Spitfire Chrono with silver-white dial that became a new model. Therefore, Mark XVI had the classical type and Spitfire type. The year 2011 was also special to the IWC Mark series, it launched the new Mark XVII. 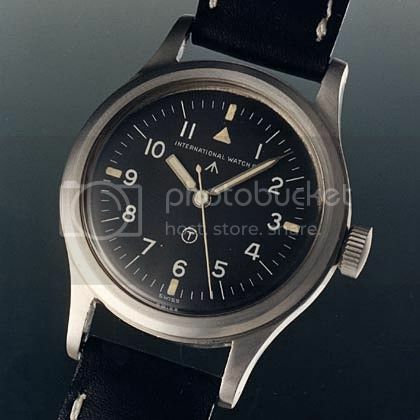 The diameter was increased to 41mm, the design inspiration of its date display came from the airplane cockpit dashboard, the vertical tactic figures are similar to the design of the high indicator. So far, the IWC Mark has launched 7 models, which had the same origin, they were the scarce watches that have real heritage significance in watch industry. IWC Mark series had never used a self-made movement. Believing that we could find an in-house movement in the coming Mark watches to strengthen their family, and hoping that the IWC Mark series would keep being developed.